During Advent and Christmas, we pay particular attention to the depictions of the Madonna and Baby Jesus. In most of them, the Infant is naked. 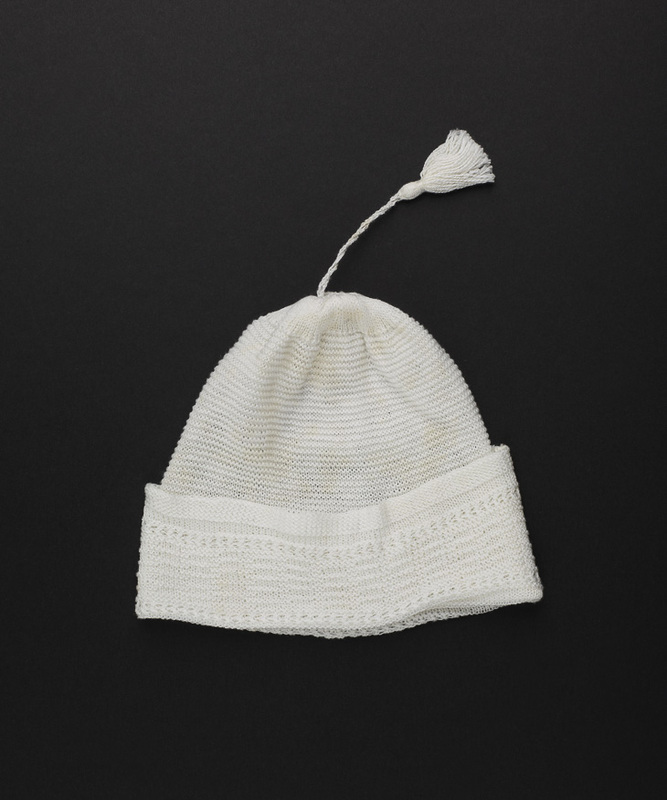 The National Museum in Krakow boasts a fine collection of baby garments. So why don't we imagine that the Child is dressed? 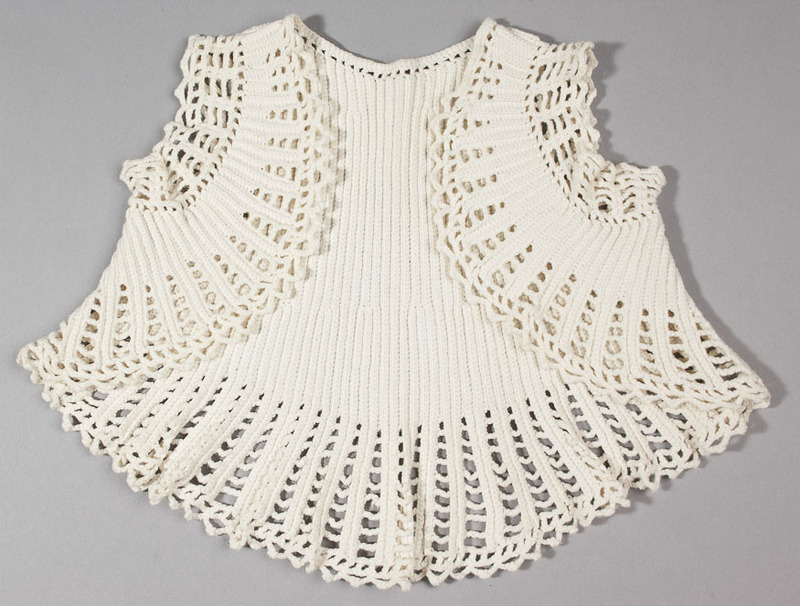 Text by: Joanna Regina Kowalska – historian and art historian, specializes in the history of 19th and 20th-century fashion. 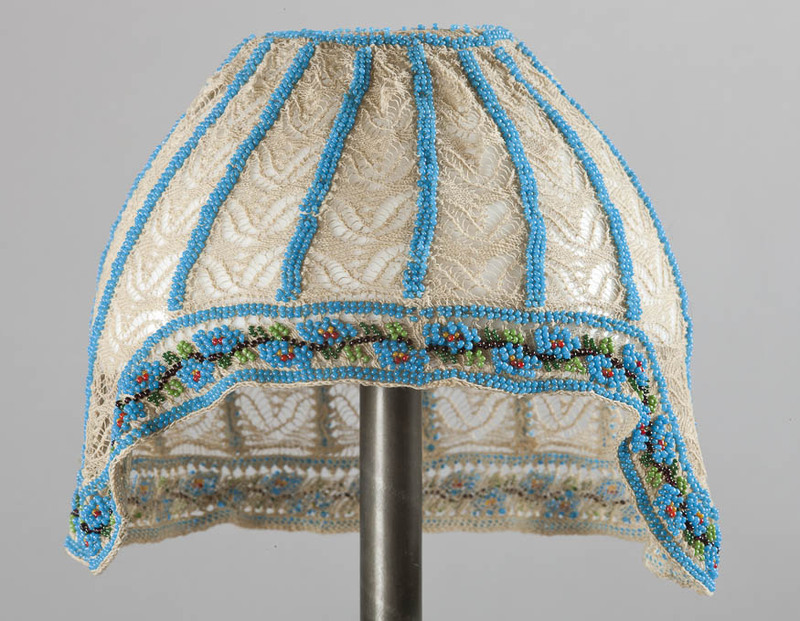 Knitted baby bonnet The decoration technique using glass beads, and a pattern of blue flowers are characteristic of the Biedermeier period. 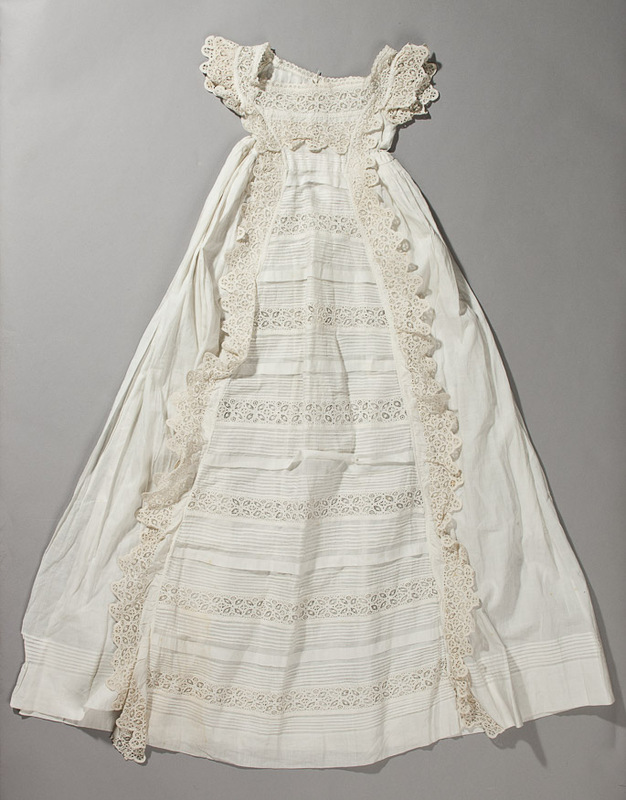 Poland, c. 1825, donated by Edward Goldstein, 1909. 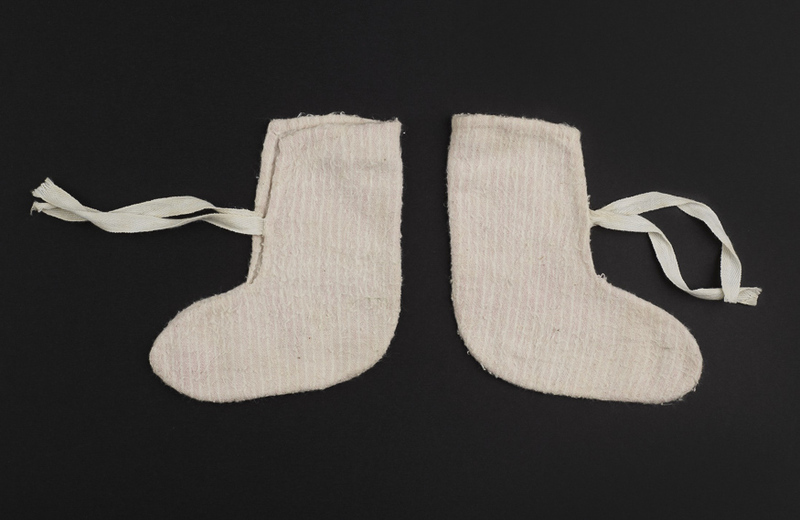 Flannel slippers Tarnów, 1921, donated by Anna Pawłowska. 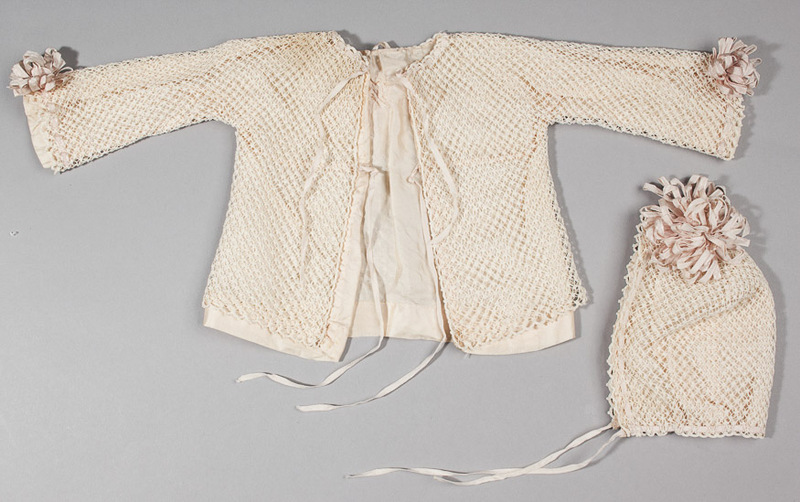 Dress for a baby carried in one's arms, made of cambric and decorated with English embroidery Dresses covering the feet were considered very practical up until World War II. Umbilical stump band This traditionally produced linen band was used to wrap the umbilical stump. 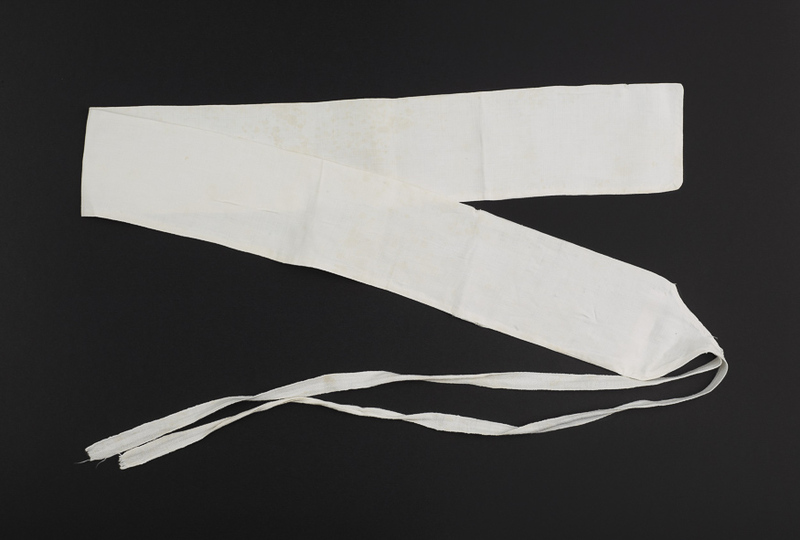 It was the last relic of swaddling wraps – long pieces of cloth which in the early 19th century were still used to tightly wrap babies along with their arms. 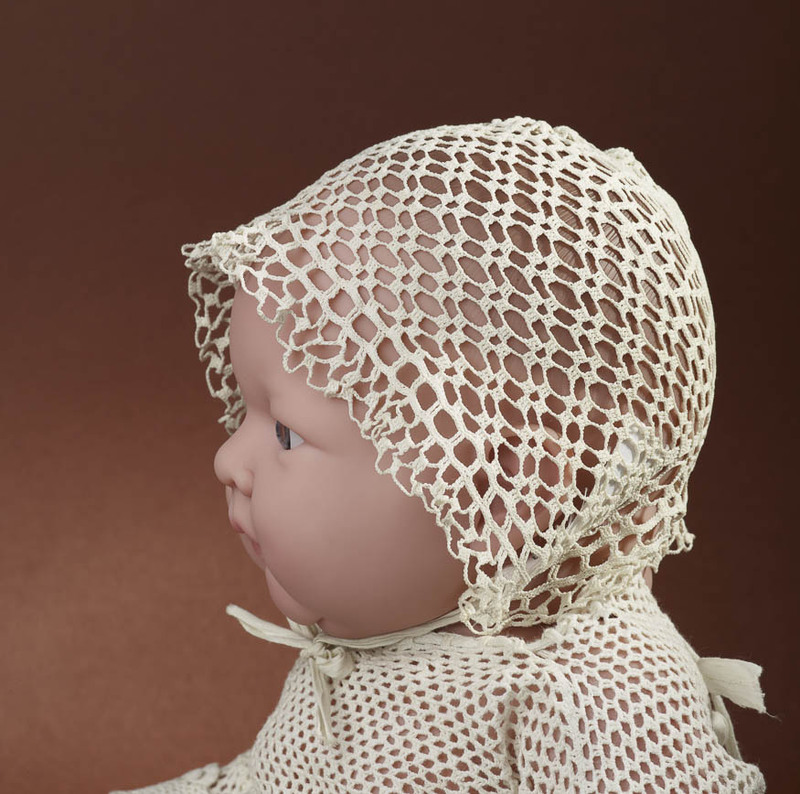 Knitted baby bonnet Poland, early 20th century. 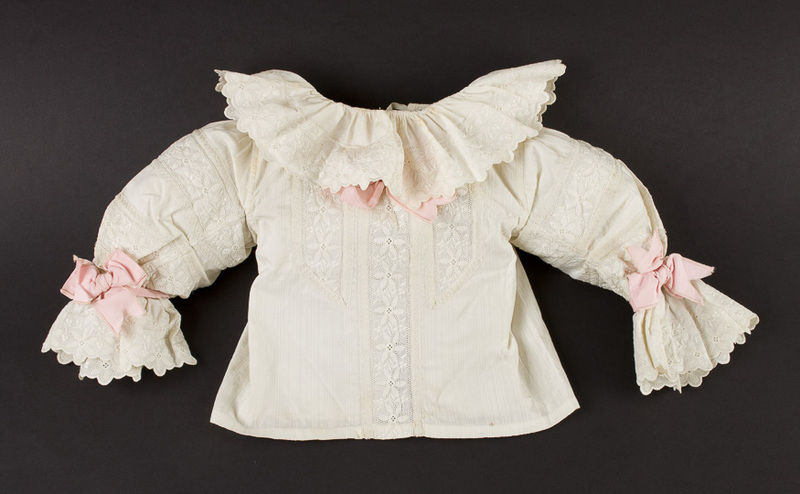 Linen shirt Boy's shirt decorated with machine-made English embroidery and pink ribbons. Poland, early 20th century. 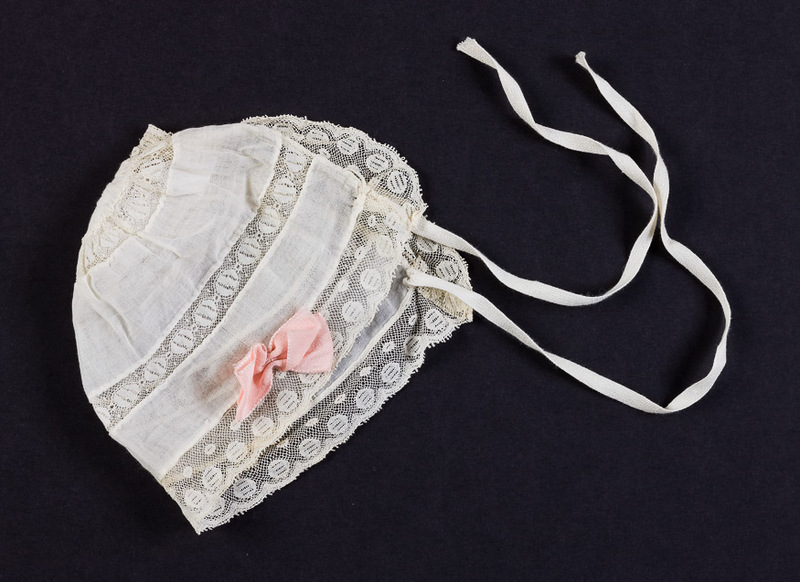 Crocheted shirt and bonnet made of filoselle with ribbon tassels Pink – as a variety of red – was once considered suitable for boys. Poland, early 20th century. 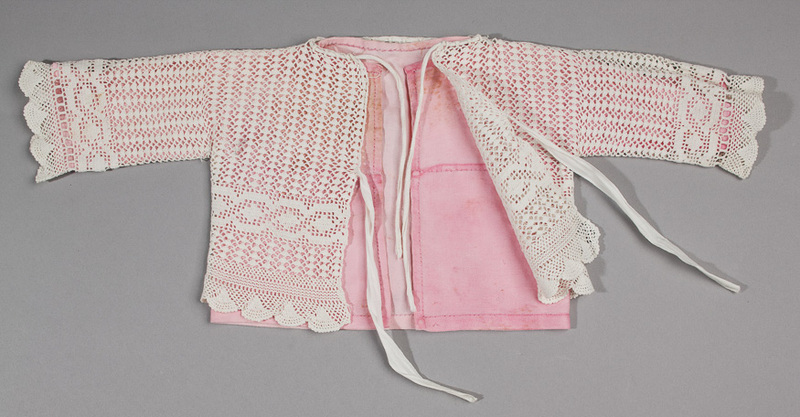 Shirt crocheted over pink linen In the 19th century, knitwear was considered ideal for infants. 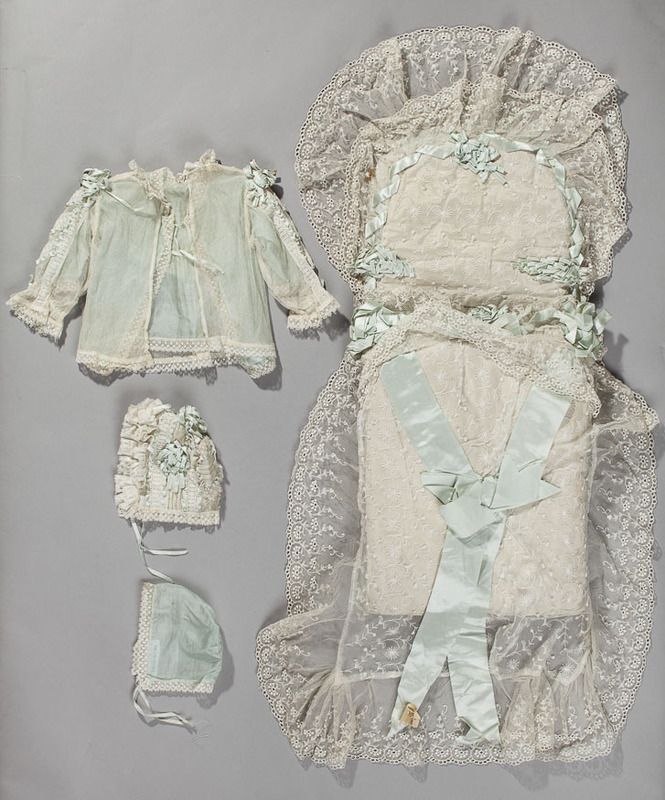 Poland, second half of the 19th century. 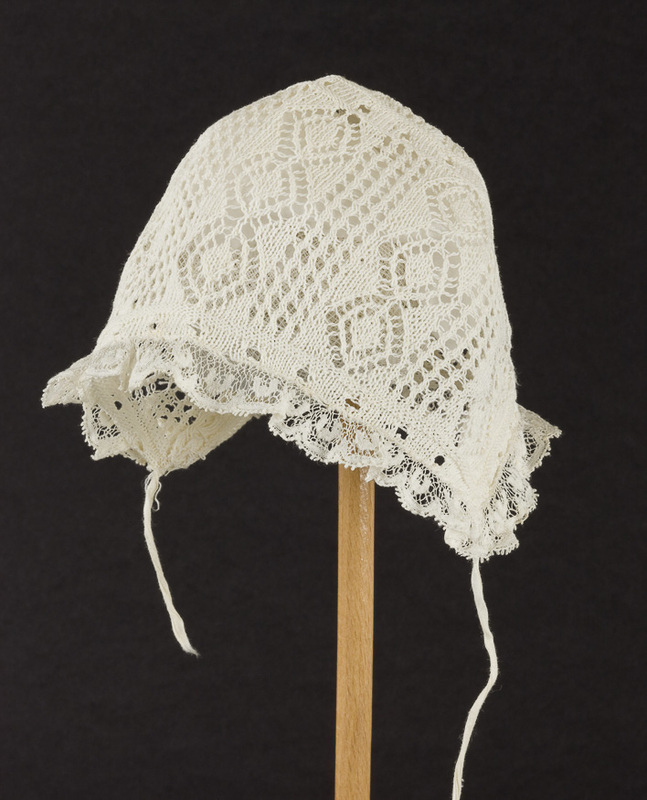 Crocheted baby bonnet Poland, second half of the 19th century. 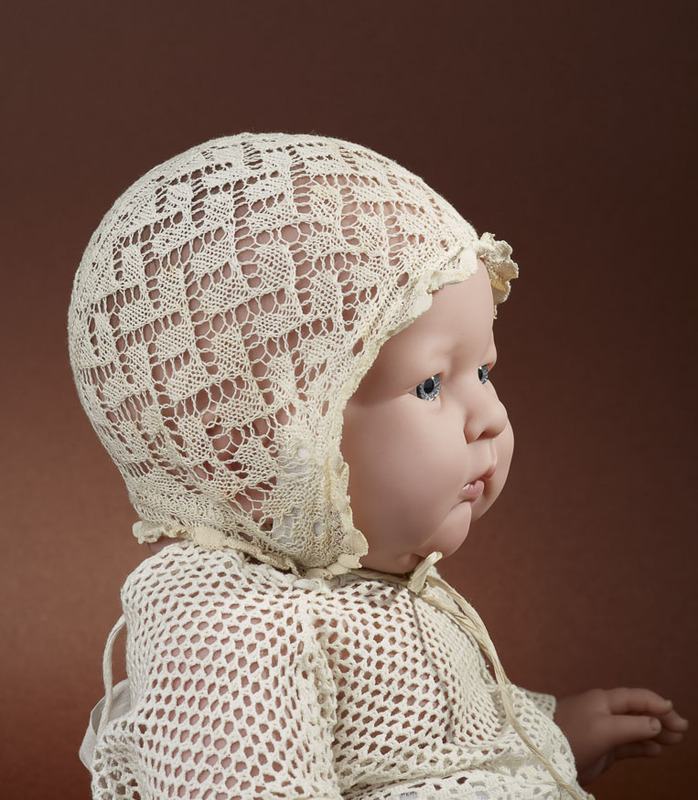 Bonnet decorated with metal lace, golden and silver galloons and glass beads Headgear was the most important part of children's clothing. 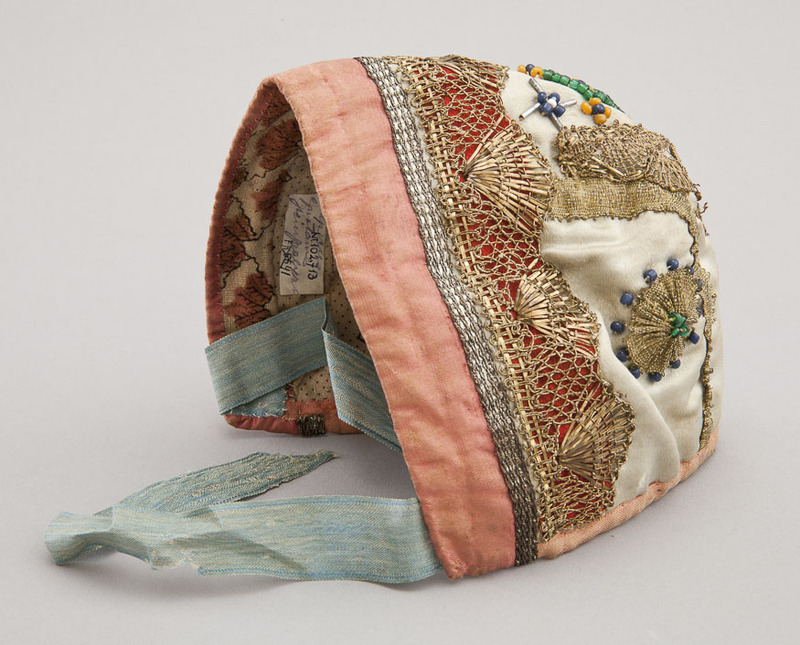 Poland, c. 1800. Donated by Gustaw Steingraber, 1908. 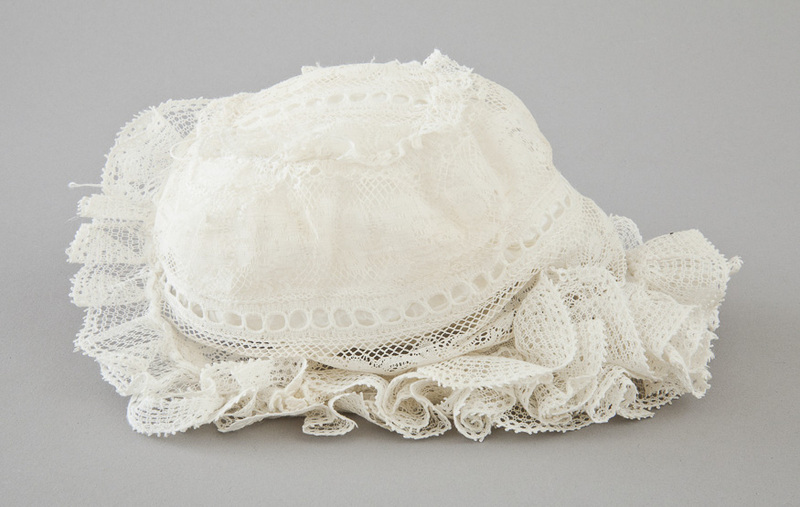 Baby bonnet made of machine-produced lace Poland, early 20th century. 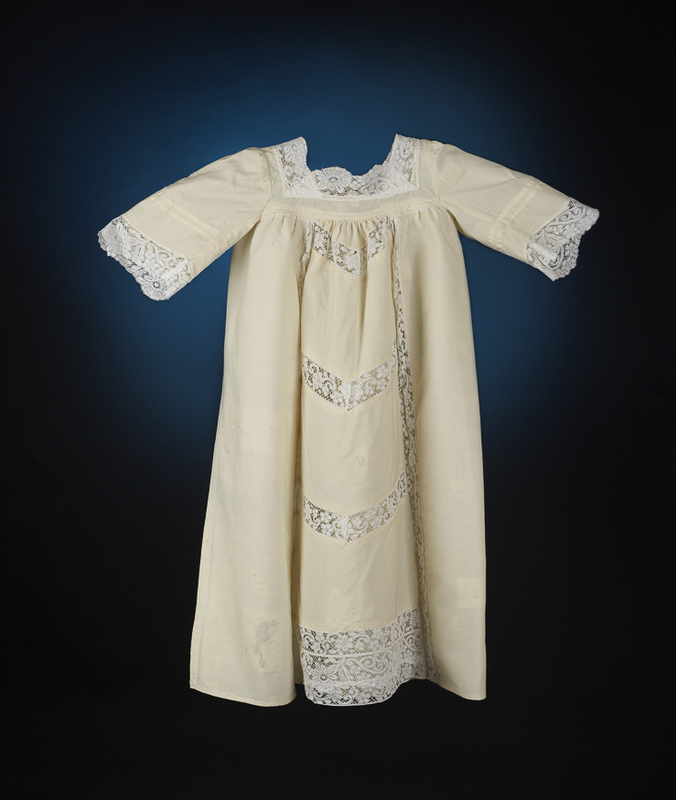 Christening dress for a girl, woollen fabric with lace Tarnów, 1921. 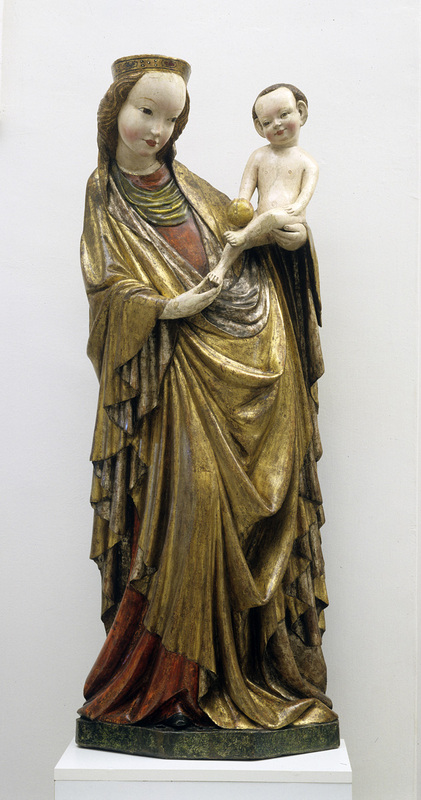 Donated by Anna Pawłowska.